Meet Lucy Rooney, a motherless tomboy with an inquisitive mind, a strong will, and a straight-forward approach, who knows every inch of the small and dusty New Mexico town in which she lives with her blind father. She is constantly searching for the “why” in everything. Sometimes it helps answer her questions, and sometimes it just gets her into trouble. 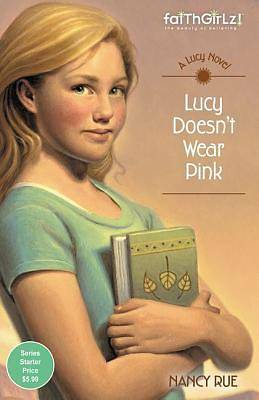 Growing up is hard when you don’t have a mother—but God helps Lucy find her way. Lucy is a feisty, precocious tomboy who questions everything—even God. It’s not hard to see why: a horrible accident killed her mother and blinded her father, turning her life upside down. It will take a strong but gentle housekeeper—who insists on Bible study along with homework—to show Lucy that there are many ways to become the woman God intends her to be. Lucy’s bossy, career-minded Aunt Karen thinks eleven-year-old Lucy needs a woman’s influence. Enter Inez—a housekeeper with a will as strong as Lucy’s—and her granddaughter Mora, a girly-girl who is Lucy’s polar opposite. Will the girls ever find common ground? Inez just might have the answers when she teaches them the story of Ruth and Naomi.